Chiffon Cap Sleeves Evening Dress | Sung Boutique L.A. 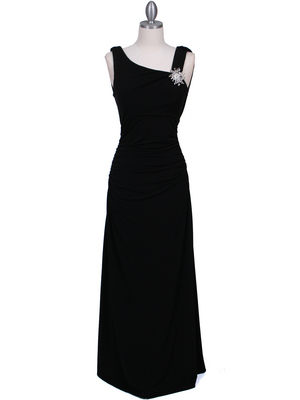 This gorgeous chiffon evening dress features v-neckline with sheer cap sleeves. 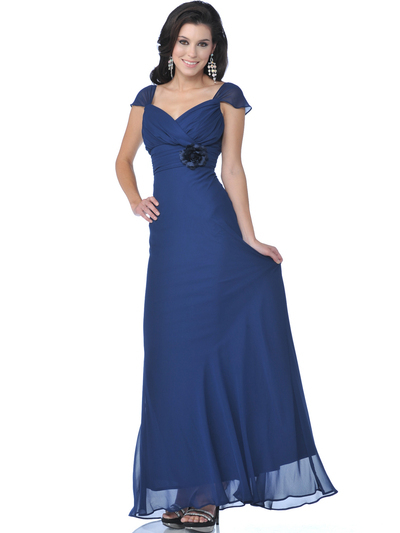 Light pleated upper bodice and removable flower pin adorn the waist. Flowy skirt floor length skirt complete the beautiful look. - Approx 60 in. from shoulder to hem.